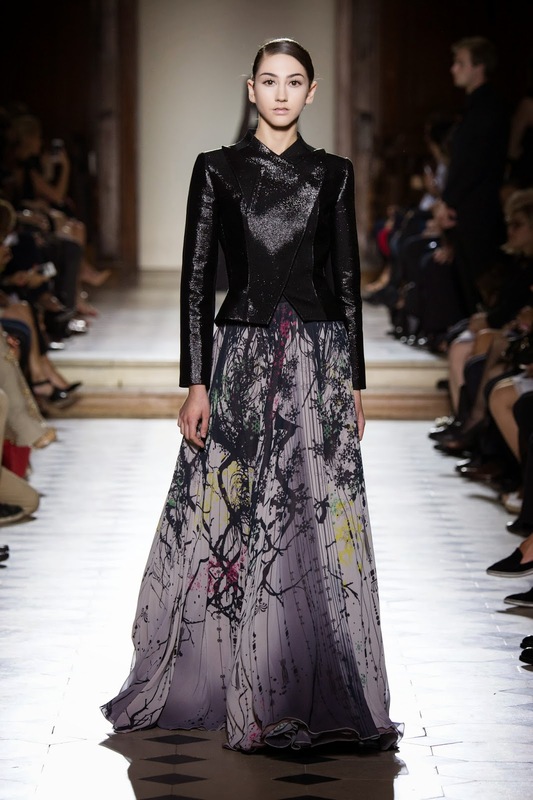 Julien Fournié bottles the essence of darkness and drops a hint of light into it in his latest couture collection. A recrudescense of corpse beauty. 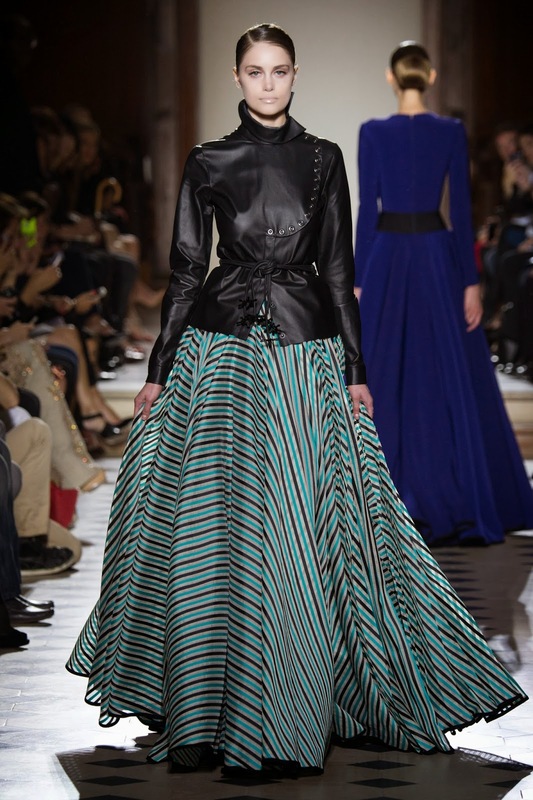 Whittish faces dressed in black, marine blue, in suits with refined cut, or black leather and long gowns, with sleeveless emerald green top, bright coloured floating sheer gowns, burdened with big neclace, a patterned jacquard dress that has rivulets of embellishments swirling along the motif across the back and spilling down the skirt, all paired with 3D printed shoes (a breaktrough! 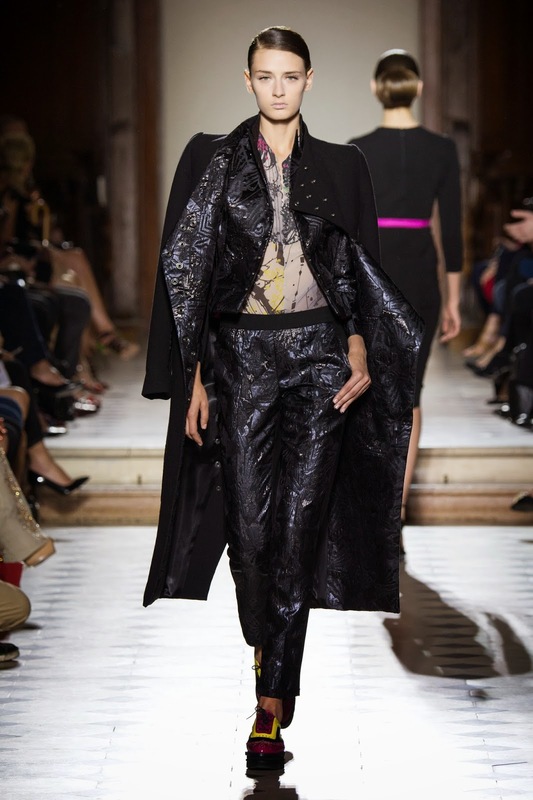 ), there's no discussion that the message of this collection is clear: I am mysterious. But again, the sublime beuaty of these pale looking faces can not be hidden. As the time goes on, the music gets louder and rougher, and so do the clothes. The finale, a black-lipped woman in A-shaped gown with hairbun and hairpin, which holds an important role in the rite of passage from child to woman in Chinese culture, exentuates the idea that this dangerous murky sense of beauty has its on demureness. Shy, protected, but also threatening. It's so wicked it's beautiful.